On the one hand I do not intend to write about every single social media platform or network out there (believe it or not, there are actually hundreds), I think it is important to spend time discussing some of the more over-looked networks that could be really helpful to local businesses. Though platforms like Facebook, Twitter and even YouTube get much of the attention, another networkâ€”LinkedIn (www.linkedin.com)â€”is slowly becoming a very important tool to business professionals throughout the nation. LinkedIn, launched in 2003, was intended to become a virtual version of a professionalâ€™s networking cocktail party. It was designed so that the intended userâ€”business professionals of all typesâ€”could meet one another, share information or tips, and in general advance themselves professionally, all in a virtual space. It has taken time for LinkedIn to growâ€”not surprising considering the tool is essentially a work-based tool (not as much social as Facebook or others)â€”but as of February of this year LinkedIn reports over 150 million registered users (by comparison, Facebook boasts over 900 million registered users). What is important, though, is the make-up of this group. While Facebook (for example) includes a huge variety of user demographics, the user set of LinkedInâ€”as is the case in all niche platformsâ€”is fairly homogenous. Whatâ€™s more, they are a very desirable group to get brands, products and services in front of. LinkedIn users are the most highly educated group when compared to other networks. Over 50% of LinkedIn members have either bachelor or advanced degrees, while an additional 37% have at least some college. By comparison only 24% of Facebookâ€™s users have degrees. LinkedIn users also have higher incomes: 50% of users make between $50-99,000 and 22% make over $100,000. Again, by comparison, 47% of Facebookâ€™s users make between $50-99,000, but only 11% make over $100,000. The differences donâ€™t end in the user composition, though. The purposes of use differ as well. The majority of people logging into Facebook do so to connect with friends and family. The majority of people logging into LinkedIn, however, do so for business purposes, including networking, training, learning or discovering new information, or looking for employment. LinkedIn, therefore, is really the only network designed for doing businessâ€”the others are expressly social. For business professionals who want to use Facebook, they face the difficult task of un-marketing: marketing while not expressly marketing (it is a social network, after all). But in LinkedIn, brands and businesses can be expected to stress their products or services. As Iâ€™ve pointed out before, though, it is not a platform for advertising. Instead, think of it as a business mixer: you talk to people, discuss trends, and exchange business cards. With all this said, then, it should be clear to see that there are certain types of businesses that work well on LinkedIn, and others which donâ€™t. LinkedIn is particularly good for business-to-business (B2B) services and professionals. People in the legal, financial, insurance or other industries that serve businesses will find LinkedIn well-suited for meeting prospects. Those businesses that are expressly consumer-driven will probably want to focus on Facebook and Twitter instead. To use LinkedIn for marketing purposes, use the same approach I advocate for other platforms: engage potential customers and prospects, share relevant and interesting information that will help others, and generally create an online presence that others want to connect with. Specifically do things like join or create discussion groups focused on your product or service as well as issues in the greater communityâ€”for example the NMSU Alumni Discussion Group. Once in these groups start conversations on relevant issuesâ€”the growth of our city, what businesses we might benefit from, or how people can do things better. Create polls and ways for others to talk. Also, join ongoing discussions and make relevant and thoughtful points about topics that are brought up. Also, invite as many as possible to connect with you on LinkedIn. Once connected, share information on your own wall that will help your connections in their own professions. Share news stories or articles you find relevant, tips tricks your area of expertise, etc. Finally, ask peopleâ€”especially previous clients or customersâ€”for referrals. This is a powerful mechanism that LinkedIn includes to help you spread the word about your expertise, quality and authority in your service sector. There are a wealth of other ways and methods to use LinkedIn that would help most any B2B business, far too many to cover in this short space. The important point though is that you donâ€™t overlook this platform for other more popular networks. Instead, take the time to investigate LinkedIn and see if it may be a better fit for what you do. I have written much about the importance of small businesses engagingâ€”not advertisingâ€”through social media. I have also discouraged small businesses from explicitly marketing or promoting themselves on these channels. Such tactics turn off followers more quickly than they get them, and is antithetical to the purpose of having a social media presence in the first place. However, at the same, some social media channels do offer outlets for outright promotion and advertising, and I would like to take a moment to talk about the benefits of these. Two years ago, working as the Director of Web Communication (which included online marketing) for an organization I was given the opportunity to test the effectiveness of using social media as an advertising platform. For a particular campaign and promotion, our marketing department decided that in order to spread brand awareness and bring attention to upcoming events, they would purchase a "vehicle wrap" (that is, wrap one of the organization's vehicles in decals) for about two thousand dollars. I chose to allot one thousand to Facebook ads for a period of three months. To me the results were astounding and demonstrate the strengths of using social media for outright advertising. At the end of three months the marketing department could not say really how effective their strategy was. They had driven the vehicle in a couple of parades around the state, but had no idea how many of our target demographic had seen it or even responded to it. To make matters worse, the vehicle sat parked at the organization for much of the time. For my effort, I used micro-targeting strategies to fine-tune who would see my ads. I targeted Facebook users by region, age, activity and interest, and then ran multiple ads for different characteristics or region (shaping the message of each ad for each difference). At the end of three months I could say with certainty that almost 100,000 people within our target demographic were reached by the advertisement. I could say how often they were reached and when. I also knew that close to one thousand of those in our demographic investigated our brand by clicking the ad to go to our Facebook page, and then further clicking through to our website. In short, I knew how effective the ads were, I was certain that the money I spent matched my goals (raising awareness and promoting the upcoming events), and I also knew for certain that I only spent money on the people I wanted to see my message. These are all the benefits of using this type of advertising, and I encourage small business owners to use these mechanisms as another outlet for promoting their brand. The two social networks that offer the best platforms for advertising right now are Facebook and LinkedIn. Twitter is still experimenting with their promotions platform and is currently only accepting national brands (or brands willing to spend a lot of money). YouTube, while effective as a channel itself, really only offers the types of ads you would purchase through Google, so there's little chance of really micro-targeting (the real purpose to use these types of ads in the first place). To help you understand how to use these effectively look at the wealth of resources on the web and elsewhere to learn about important elements like analytics or measurements (Facebook actually has a free training program to support you). As a further incentive think about the following. The price for ads is are set by a bid system. When you decide to purchase ads the price is set according to the demand for the demographic you are targeting. If there is more demand for your demographic, you will pay a higher price. I recently ran a campaign for a local client targeting Facebook users in El Paso, Las Cruces, Juarez and Chihuahua, Mexico. The bid price for El Paso users was over $3.00 per 'action' (a click on the ad or a page-like), while the price for users in Mexico was less than 75 cents. The Las Cruces bid price was less than $1.25. The upshot is that the Las Cruces market hasn't yet been touched by businesses using Facebook ads, so the prices are still low. If you begin advertising right now, you will garner more attention than if you wait for everyone else to advertise too. Here in the Las Cruces area it's getting close to wine festival time, with both the La Vina Spring Wine Festival and the Southern New Mexico Wine Festival in the offing (plus the Barrels & Blues Wine Festival being offered by St. Clair Winery in Albuquerque). Interestingly, I see none of these festivals, or even the wineries attending them, taking full use of social media to market their wines or events. Wineries are in a special category of businesses, and they need a marketing approach that will typically differ from others in standard marketing practices anyway. They want to educate people about wine in general, and more specifically about their wines. They also want to promote their product and brand, not just locally or regionally, but nationally as wellâ€”regardless of the size of their winery. Social Media Marketing is the perfect venue for promoting wines, wineries, and the outlets people can go to when looking for specific brands. 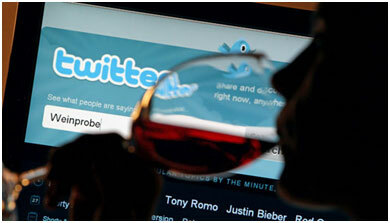 In fact, some wine brands are already taking advantage of social media marketing platforms. Constellation Brands, Inc., (one of the largest wine makers in the world) moved marketing of Arbor Mist completely online in 2010 and increased sales by 20% according to one report. Constellation has increased social media marketing budget by 150% and overall sales have increased by 10%. Further, in 2010, there were over 14 million discussions about wine (brands, types, recommendations and wineries) on Facebook and Twitter according to another study. Additionally, social media campaigns are extremely effective at driving traffic and generating excitement and interest for events, especially for wine festivals and tastingsâ€”private or public. Integrating social media promotionsâ€”in addition to generating public awareness for their presence at these eventsâ€”will undoubtedly increase a winery's odds of having a successful event. Pinterest has taken the social networking world by storm. Debuting a little over a year ago the platform calls itself a social bulletin board, allowing users to â€œpinâ€ images and other web-content to their account, thereby creating virtual bulletin boards or scrapbooks. Other uses can then view that content and engage with it by liking it, â€œrepinningâ€ to their own profiles, or sharing it to other social networks, like Facebook or Twitter. The point is to find and share beautiful, funny or otherwise interesting images with friends and the world. Users can â€œpinâ€ just about anything they find online, regardless of the sourceâ€”be they advertisements or personal photo galleries. In the past three months Pinterest has seen an explosion in its use, with its average weekly number of visitors topping 21 million in one week in February. In its short time it has accumulated well over 10 million users, making it the third largest social media network. Furthermore, the demographics and details about the users could potentially be very attractive to some businesses. According to web stats Pinterest has released, over 80% of their users are female who spend over 16 minutes on the site viewing images and photographs. Additionally, 90% of their users are also using Facebook, and half of those users have connected their accounts and so share their content on different networks. For some businesses this group could be exactly who they are trying to connect with. And it is certainly true that some businesses lend themselves more easily to an image-based social network like Pinterest than others do. For either or all types of businesses, though, there are some things to keep in mind when considering using Pinterest to expand your online brand. First of all remember that Pinterest is about what is beautiful, interesting, funny or otherwise entertaining. Like other networks it is not about advertising, so if you do advertise you will be quickly ignored. Second, remember that the platform is based on the visual. Create images that tell a story about your brand. Make your products and services beautiful and engaging, and this can frequently be done using real customers in real situations, not models or staged photos. Lastly, make your own content. With the exception of music piracy, copyright laws have not traditionally been enforced as rigorously online as they could be. However, as Pinterest grows you can be sure that brands will be looking out for proprietary content. The goal on any social media network should be to create brand awareness and interest in what you sell or provide (not necessarily to sell or provide it). If your customer demographic fits the user demographic of Pinterest, it provides a great opportunity to connect with potential customers in a fun and beautiful manner. Recently AT&T released the results of a fairly extensive survey of small business owners conducted late last year concerning small businesses and technology. While many of the results were not that surprising (Facebook is still leading as the go-to marketing platform of choice, and internet use via mobile devices is growing), one result is a telling statistic of future trends. The use of â€œlocation-based social channels,â€ like Foursquare, has grown significantly, from 5% in 2010 to 9% in 2011. These location-based services allow people to use their phone or other mobile devices (tablet, iPad, etc.) to interact with brands based on their locations at that moment. If, for example, you were interested in eating at a nearby restaurant you could use your smart phone to find out what was close by, and then further find if those businesses offer anything you were interested in. They also allow consumers to see what others have to say about these places (through reviews), or how popular they are (through the number of people that have visited, or â€œchecked-inâ€). According to the AT&T poll, 25% of small business owners using these platforms report that they are â€œvery importantâ€ for sales generation (a dramatic rise from only 2% in 2010). And more consumers, apparently, are also jumping on these platforms as well. Last June, for example, Foursquare broke 15 million users, a year over year growth of well over 1000%. Now, granted, the most dramatic use of these platforms, as well as the primary concentration of users, resides in Americaâ€™s largest cities: San Francisco, Chicago, New York and Washington DC. Further only 5% of consumers, total (as of last December) reported using location-based social platforms. However, the fact remains that their use is growing rapidly. What is more, Foursquare in particular boasts perhaps the more desirable consumer demographics for luxury-based brands, products and services. As of December 2011 its usersâ€”primarily in the low 20â€™s to low 30â€™sâ€”reported an average annual household income of over $90,000.00. So, is any of this important to small businesses in Las Cruces? Frankly, yes. Now is the time to get your small business on board before all of your competitors do. As the trend grows, and use begins to penetrate smaller cities and regions, you can have an established presence with a loyal following and thereby force everyone else to play catch up with you. Here are some ideas to get your started. Begin by claiming your presence on these platforms. Most small businesses owners do not know that they can simply login and take hold of their brands on sites like Yelp and Foursquare. Once you have done this, the platforms provide a wealth of options and guidance to help you make the most of their services (after all, the more active you are: the more users they will have). Most offer training, and free tips and resources. Use them! Use features to reward those who check in the most at your location. 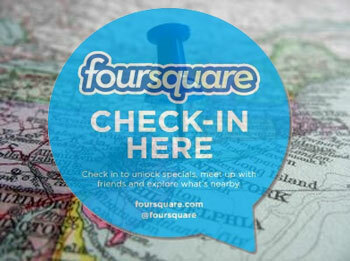 Foursquare, for example, tracks the number of check-ins made by each of its users at each location. The person who checks in the most at a particular store or restaurant is made the â€œmayorâ€ of that location by Foursquare. You can make a big deal of this by giving the â€œmayorâ€ special incentivesâ€”like discounts or freebiesâ€”for being such a loyal customer. Be sure to publicize this through signs and notices in and around your location to drive competition between customers. Create coupons and rewards for making check-ins social. Check-ins are great (obviously it means a customer bothered to show up), but what makes it valuable is that they let other people know they have been there. Tell them how important it is to you that they do this, ask them to post their check-in to Facebook or Twitter to let their friends and family know, and reward those who do with simple or inexpensive incentives. Always remember that one of the driving forces behind consumer-spending and loyalty through social media platforms is the influence of friends and family. In other words, I will spend where my friends spend money. If a customer checks in at your business, and their friends and family member see it, the customer has potentially influenced those people to shop or buy from you as well. Location-based social networks do not work for every type of business. But, for retail and hospitality services especially, these platforms are being proven extremely effective. And though it may be true in many cases that trends take some time to find us here in Las Cruces, we are found eventually, so preparing for it in advance is a great idea. How Much is a Facebook Fan Really Worth? Is Your Web Presence Optimized for Search?